Forearm Crutches - DON'T BUY BEFORE YOU READ! Patients with difficulty or pain in walking may choose to have crutches for support. There are different types of crutches that are suitable for every patient’s need. Forearm crutches are preferred to use by patients whose disability is in for long term to ease in movements, while underarm crutch is for those with a temporary walking disability. When it comes to crutches, there are two basic types that come available in most medical stores these days. Both crutches are used as an aid tool for walking disability. There are two types of crutches, and they are the Forearm versus Underarm crutches. Underarm crutches are usually made from light material like aluminum and are originally made of wood. This is prescribed to patients with temporary disability and for the short-term condition while forearm crutches are prescribed for those with a permanent disability. The padded underarm crotch gives comfort and lessens the pressure in the armpit. Gripping the bar across the crutch while the elbow is bent allows the arm to support the whole body weight while walking. Whereas forearm crutch allows the patient to grip the crutch and allows the elbows have the greater bend degree. This is the type of crutch that we will focus more on this site. The first type is known as the underarm crutch while the other is known as the forearm crutch. A lot of people make use either of the two for almost similar purposes. However, many are confused about which between the two is better than the other. The truth is that there are no clear answers to this question, but one thing is for sure. The use of underarm or forearm crutches merely depends on the recommendation of a health expert. Hence, when he recommends any of the two sizings matters most. The second type forearm crutches. Forearm crutches are instruments or devices that aim to help a person in his mobility in terms of walking. These devices often bear the weight of a person using them, so they are generally designed to come up with handgrips and forearm cuffs. These are specific parts of a forearm crutch that carry most of the weight of the person using it. Forearm crutch is made of lighter material thus mobility is more and with ease. It is easier to maneuver and with a lesser strain on the arm, wrist, and shoulders. Forearm crutch is shorter than the underarm. It has a cuff that fits around the arm, which is an inch below the elbow. Pressure on the underarm is likely to happen using an underarm crutch, which damaged nerve and blood cells are likely to surface. Forearm crutches, on the other hand, caused strain on the upper part of the body including the arms, hands and wrists and discomfort feeling is most likely to experience while walking. Forearm crutches’ band that wrap around the arm and the handle enable the patient to rest his hands while giving support to his body. Forearm crutch is more expensive than underarm, but the mobility is more accessible and dependable. Both crutches are used as an aid tool for walking disability. If you want your forearm crutch to last long, follow these few steps to maintain yours. Crutches are no longer the way it is used to be. Original crutches are simply made of wood and are cotton padded. Now, crutches especially pediatric forearm crutches are made from light materials like aluminum, thermoplastic, and carbon or glass fiber and come in different colors suited to attract kids’ attractive taste. Pediatric forearm crutches are designed and made with kids’ comfortability in mind. Most designs have a cuff, which is either open half or full circle. The V-type opening allows the forearm to be slipped out in case of fall accidents. Cuffs are usually made of plastic or metal for easy grip. Pediatrics forearm crutches are now as fashionable and colorful as they can be. Kids can be cautious about their disability and to make them feel comfortable, pediatric crutches are made to suit their taste and preferences. Colors play an important role in making this pediatrics’ crutch as attractive to kids as possible. Different color shades are made to ensure kids will love their crutches not only as a walking aid but also as part of their fashion taste. Some of the popular models are Guardian Pediatric crutches, Millennial Forearm crutches, Lofstrand and Walk Easy forearm crutches. Walk Easy has variations for Toddlers, Youth and are made to provide stability and independence. All are slip-grip free. 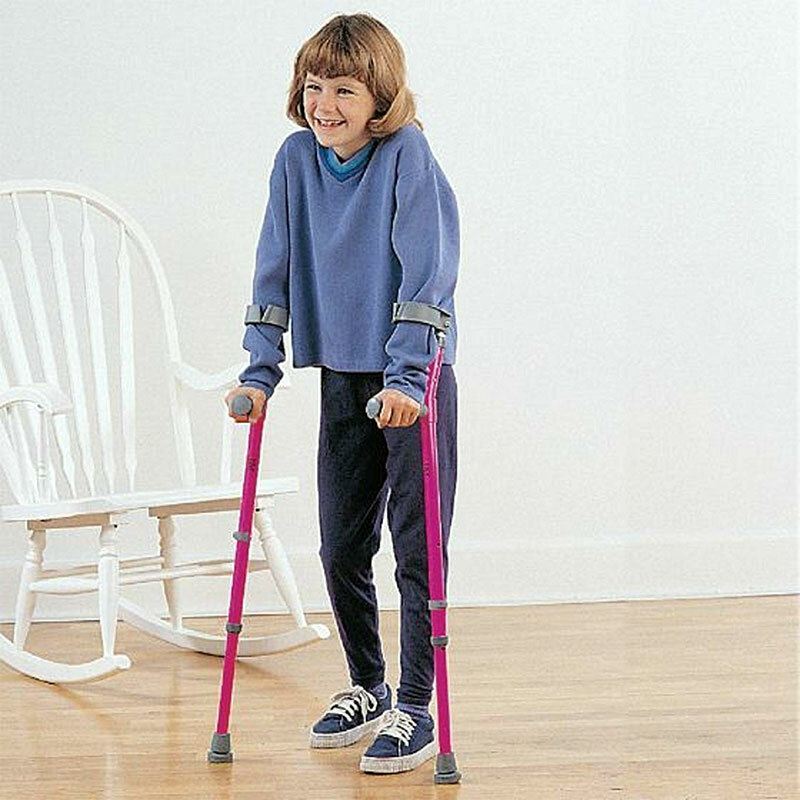 Pediatric crutches are for permanent or temporary walking aid or weight –bearing purposes. Most of these types are height adjustable to fit kid’s height. Choose from these color shades and make your kid’s pediatric forearm crutches as fashionable as it can be. From these color shades, your kid’s pediatrics forearm crutches will help her/him gain confidence, and independence and be at ease to be seen temporarily or permanent on crutches. When we say ergonomic crutches, this refers to the ability of the equipment to adapt to the workplace in order to maximize productivity. The ergonomic forearm crutches, for example, reduce operator’s fatigue and discomfort thus allowing more mobility and productivity with a less physical effort from users. The functionality of ergonomic forearm crutches is often found in millennial forearm crutches and Walk Easy forearm for Elderly and toddlers. 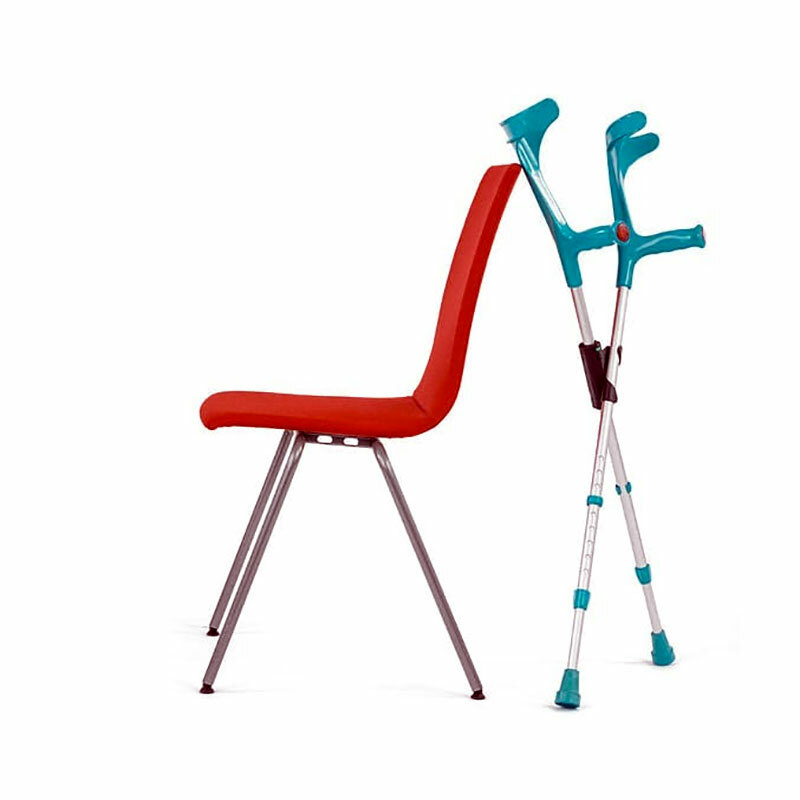 Many crutch manufacturers and suppliers offer ergonomic crutches for their clients. It is economical and safe. Physicians and healthcare institutes prescribed ergonomic crutches for children and the elderly because of the lesser risk of accidents due to frequent falls resulting from the loose grip. The most common of these crutches is its ergonomic grip and full cuff. Some have what they call the pain-free crutches. Many of its existing models and types have this feature to help users have the comfort and independence in their mobility. 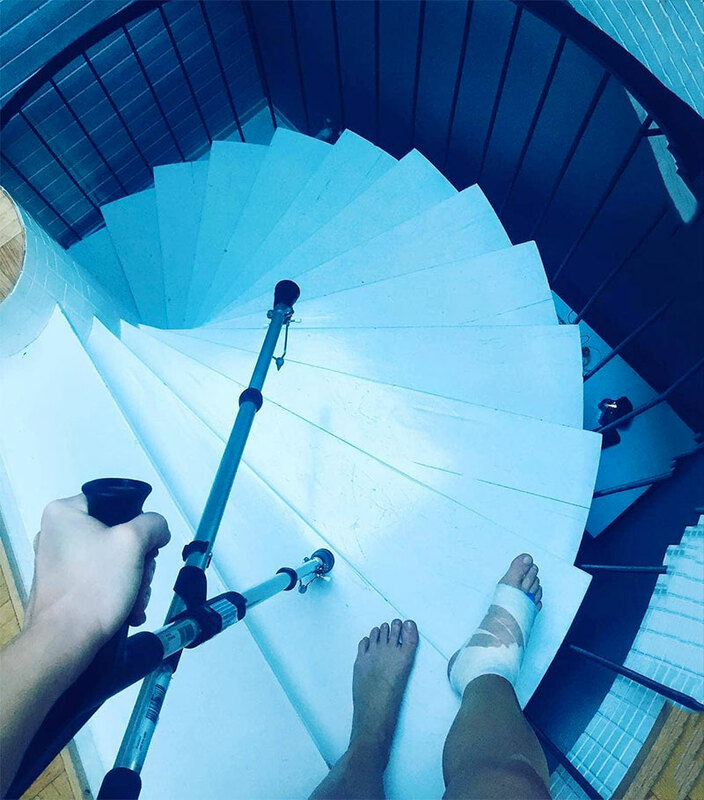 This is something that is welcomed by crutches users. Ergonomic forearm crutches aside from its full grip cuff have handles that maximize nerve conduction and blood flow. Besides, not only that it minimizes accidents, but it also provides realizable support for balance assistance. Patients’ full grip on handles often results in stability, it allows solutions for weight-bearing problems and facilitates smooth and safe movements. Ergonomic grip crutches are designed for patients with vigorous and repetitive movements. It is an aid to reduce pain in the wrist or those with wrist tendinitis. Type models for forearm ergonomic crutches include the following. Ergonomic crutches are recommended for people suffering from arthritis and other neurological symptoms like carpal tunnel. Ergonomic forearm crutches are the best and most economical to use for walking disability either for temporary or permanent use. Using them will allow you to have independence and freedom not only for your mobility but also for physical efforts and discomforts. In a lighter sense, forearm crutches are less popular than the underarm crutches. In this regard, learning the right and proper way of sizing up a forearm crutch is a very important thing every user should take note before he buys a pair for himself. With the right size, comfort and contentment are best spelled out. Forearm crutches are also called Canadian or elbow crutches. Generally, they are commonly made from aluminum and are found in a wide range of sizes. This gives you the thinking that crutch sizes should be in a variety because users come in different ages and heights, too. However, elbow crutches often come with adjustable height. This is for the purpose of giving the user the option to adjust the height of the crutches whenever needed. Although they are adjustable, it is still very important to select a particular size that suits you best. Generally, they come in three major sizes like small, medium, and large. After you have picked the right size, the next thing you need to do is to set the right height that suits you. This is where you find the height adjustment feature something very important. If the user is a child, crutches for kids or a small size is often the best pick for him. The same thing is also true for those adults who are as tall as an average child is. On the other hand, the medium-sized individuals should pick the medium size as well, while the taller ones should choose the large crutches. 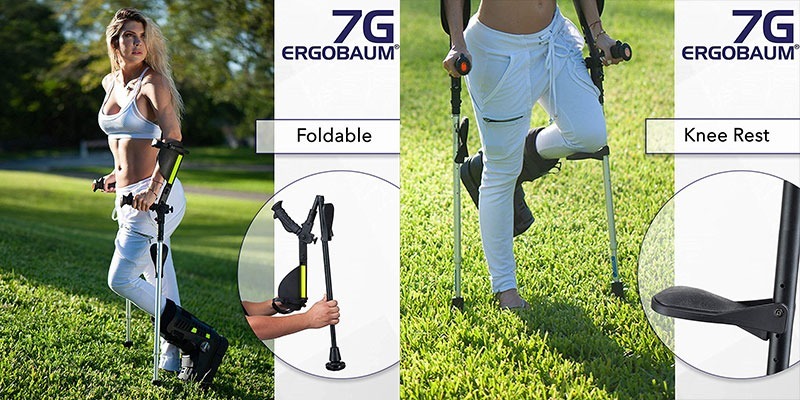 By doing so, the user will be able to use these walking tools with ease and comfort, making them easier to walk on whatever path, trails, and terrains. The size of the crutches you buy really matters because it affects your performance while walking. How do you perceive a tall person using a small size meant for children and vice versa? This may sound absurd and awkward, but the reality really stings. When a person buys these walking tools, he should find the right size that suits him. This is especially true when the user tends to make use of the walking tools on a long-term basis. This will guarantee him that his walking performance will be at its peak and his recuperation from his walking problem will be well-addressed. Thus, finding the right size for you is a crucial thing to consider when you need to buy crutches for yourself. 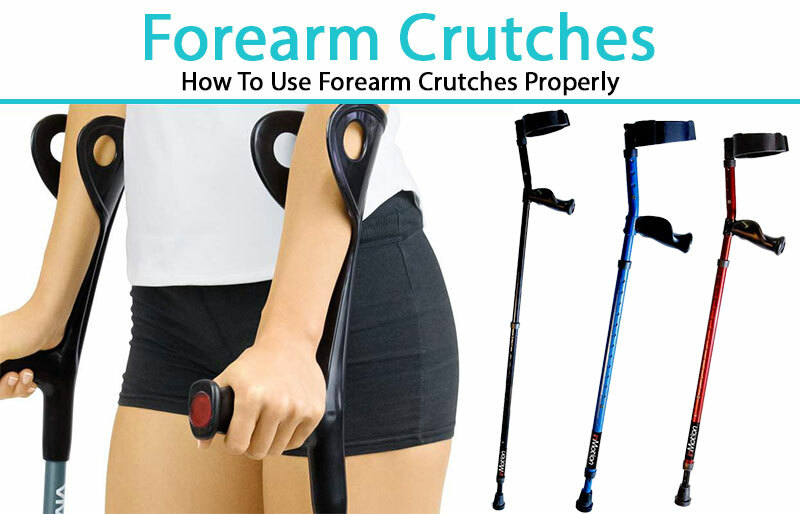 If you want your forearm crutch to last long, follow these few steps to maintain yours. Forearm crutches are essential mobility devices, and it is highly recommended for injured people who want to go walking around without anyone to assist them but the crutches alone. In this regard, it is very important to learn the right and proper ways to make use of this particular mobile device particularly when it comes to the act of adjusting the crutches. Learning to use forearm crutches the proper way will prove to be something helpful and essential in a way that using them will not cause further injuries or muscle strains that you will not like to have. 1. The forearm crutches should be stood against the body. This will make you certain that the height of both crutches is appropriate. As you stand up straight, handgrips of both crutches should hit where your wrists are going to bend. If you wish to adjust the height of your crutches, simply find the spring buttons, which are found at the crutch’s bottom end. 2. Before you intend to walk with the crutches, make sure that you have already adjusted the cuff placements of the crutches. You can move the cuffs in an up and down manner using the spring buttons found in the upper half portions of each crutch. Make sure that the cuffs are placed about two to three inches below the places where your elbows are going to bend. 3. The collar of the crutch should be turned around like this the one responsible for securing the cuffs. Secured cuffs will assure you that they will stay in place while you walk. 4. Both hands should grab each of the crutches’ handgrips. Remember to place each of the cuffs under each of your forearms. Take note that the cuffs are designed in the shape of U, and the open end of each U should be facing outward. 5. As for walking patterns, it is best to consult the physician who has recommended crutches to you. A medical expert knows the right and easy ways to use crutches in terms of stepping and in a given type of injury. 6. As you go walking with the crutches, place some of your weight (not all) to your mobile device. The crutches act as support and are not to carry or bear a person’s overall weight. Hi, thanks for dropping us a comment. I think a good crutch for your daughter is this, Pediatric Forearm Crutch from Amazon and I think she will like it. I know I might have asked this before, but there are so many forearm crutches, I don’t remember if I asked this: WHAT IS THE WEIGHT OF THESE ADULT FOREARM ERGONOMIC CRUTCHES? I see that the grips are what I need, so now, the weight needs to be light enough. THANKS!! !